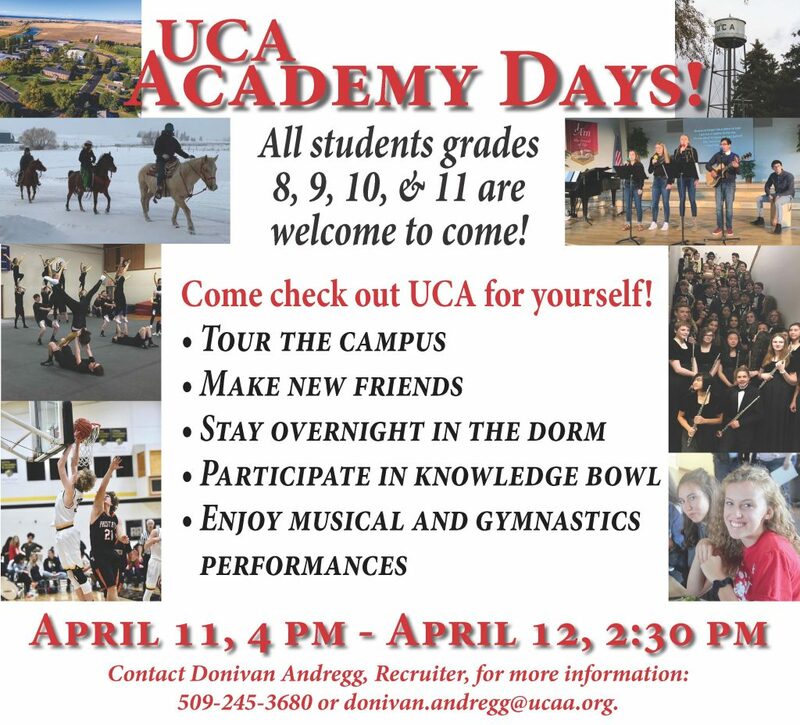 You are invited to attend ACADEMY DAYS at Upper Columbia Academy! Preparing to enter their high school year or are already in high school. Love Jesus or are searching for a relationship with Him. Want a challenging academic program. Enjoy music, basketball, soccer or volleyball. Enjoy practical arts such as gardening, welding, mechanics, woodworking or CAD drafting. Artistic and like pottery, watercolors, oil painting or stained glass. Just curious about what a boarding school like Upper Columbia Academy has to offer! or 509-245-3680. We will make arrangements for you to stay in the dorm and eat on campus for free!